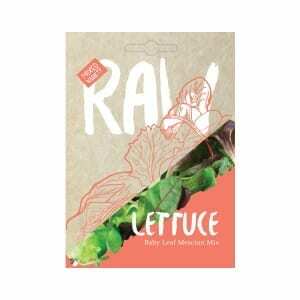 Mini Belle Blend – Every garden needs at least one adorable veggie. The dwarf, compact plants of the Sweet Pepper Mini Belle produce a huge crop of small, block-shaped peppers. They come in red, orange and chocolate colours, and are almost too cute to eat. Almost. Pepperone Corno di Torro Rosso – The name of this Italian heirloom translates to “horn of the bull”, which makes it sound like a fiery beast of a pepper that might just kill you. However, its name is actually a tribute to the pepper’s full, tapered shape. (Phew). It does have a subtle heat, of course – which gently increases as the pepper matures – but this variety ripens to a bright red fruit with a sweet, crisp flavour. Rainbow Bell Blend – Christopher Columbus is credited with discovering peppers, which are indigenous to South America, but we take full credit for putting this excellent pack of seeds together. The Rainbow Bell Blend of open-pollinated sweet bell peppers includes lemon, orange, red, and purple colours. You can thank us later. 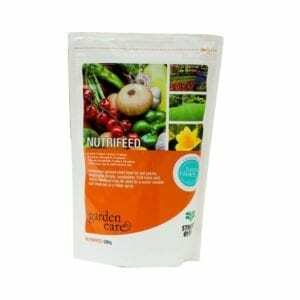 Mini Belle Blend – Sweet with very few seeds, so they produce very little waste. Mini Sweet peppers are thinner-skinned than larger peppers and their texture withstands grilling and cooking. The dwarf, compact plants of Sweet Pepper Mini Bell Mixed produce a huge crop of small, blocky shaped, sweet peppers in red, orange and chocolate colours. This variety is sweet with few seeds, so they produce very little waste. They are thinner-skinned than larger peppers and their texture withstands grilling and cooking well. Essentially they’re perfect in every way. Sow in spring and summer, min temp 20C. Sow in full sun: 2-3 plants per container or 40 x 40cm in the ground. Seeds will germinate in 10-14 days and grow to 60cm. Harvest in 100-110 days. 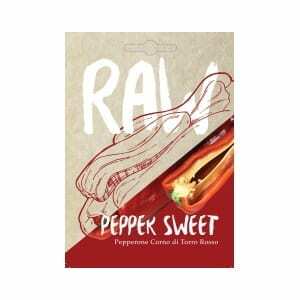 Pepperone Corno di Torro Rosso – Corno di Toro pepper has a thick flesh that is encased in a thin skin. This Italian heirloom is delicious raw, fried, stuffed or just grilled on the braai. The name of this Italian heirloom translates as “horn of the bull” a tribute to the peppers’ full, tapered shape. Ripening to a bright red, the fruit has a sweet, crisp, flavour, with a mild heat. The subtle heat increases as the pepper matures. The Corno di Toro (we could say that all day) has a thick flesh that is encased in a thin skin. It’s delicious raw, fried, stuffed or just grilled on the braai. We can basically hear you nodding in approval. Seeds will germinate in 10-20 days and grow to 60-90cm. Harvest in 110-120 days. Rainbow Bell Blend – Although referred to as a vegetable, the pepper is actually a fruit. Can be harvested young at a green stage but are sweeter and tastier when fully ripe. Christopher Columbus is credited with discovering peppers, which are indigenous to South America. 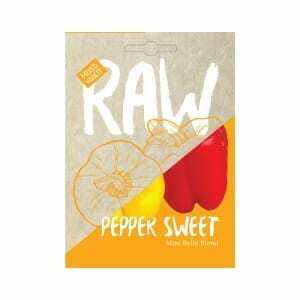 A colourful blend of open pollinated sweet bell peppers including lemon, orange, red, purple. Although referred to as a vegetable, the pepper is actually a fruit. These can be harvested young (at their green stage) but are sweeter and tastier when fully ripe. Stuff them, use in fajitas, slice up for salads – whatever you’re cooking, these peppers will make it better. Except cake. (But no judgment if that’s what you want to try). Seeds will germinate in 10-14 days and grow to 35-45cm. Harvest in 110-120 days.